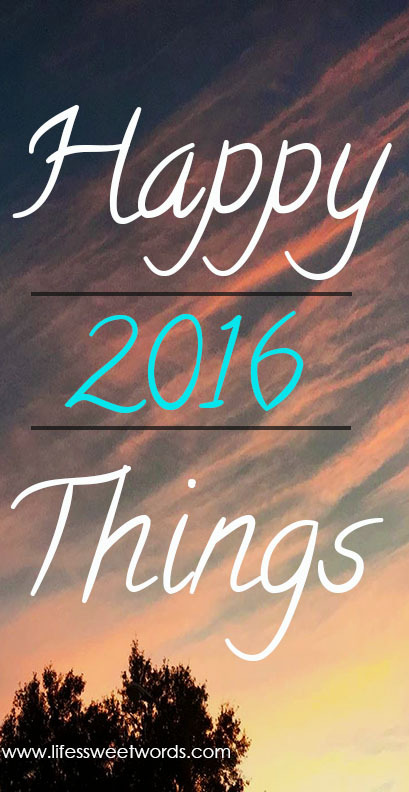 Life's Sweet Journey: Happy Things 2016 Linkup// February Happies! It's the last Monday of the month, and the only Monday February 29th for the next 4 years, which means it's time for another Happy Things 2016 linkup! So here's to big things for Monday! My happy things included lots of time outdoors this month and I couldn't be happier! 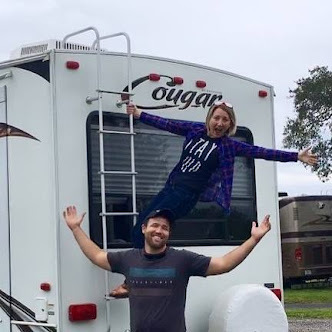 ~Weekend Camping Sunsets~ We had our first true Florida boon-docking experience and enjoyed some gorgeous sunsets while we were camping at the Three Lakes Wildlife Management Area. We had one wildly, beautiful time and I can't wait to share all the adventurous details with you in a later post! ~Geek Moment Happiness~ My Harry Potter Illustrated Edition finally came! Or more like, I finally bought a copy! I had added it to my Christmas wish list, but a copy could not be found. So I used a gift card to treat myself to this joyous, wonderful book. If you are a Harry Potter fan and don't have a copy, you need one! If you are not a fan, now is the perfect time to discover the amazing world you are missing! What better way to enjoy Harry Potter than with stunning illustrations! Even better news, it's currently on sale for under $25 over on Amazon! ~New Shop Giddiness~ I am pretty stoked about the new item that will be coming to my little, growing shop! I love the "you keep me safe & I'll keep you wild" quote and can't wait to wear one of these new goodies on our next hiking adventure! While I grow my shop, I thought it would be fun to share in the love with all of you and offer my prices to you while I grow. Not only are prices low, but there are more color and style options to choose from now than there will be once they hit the shop. You can look through these links here (flowy tee, tank, long sleeved, tshirt) to grab one at the discounted rate or help me decide what should make it's way over to the shop. I am trying to decide which color options I should get and I would love to hear your thoughts. I am leaning mostly to the white and coral tank and the gray and teal flowy tee, but would love to hear from you! What color/ style option would you most like to see? ~Afternoon Day Hiking~ Babe and I spent this past Friday afternoon hiking nearby at a place called Isle of Pine. It's only about 20 or so minutes from our house and makes for a nice, short afternoon hike. We ate lunch at home and then got there right around 1 o'clock. There are two separate trail head locations located near each other (we are hoping that they are working to connect them). The first spot (off of Lacebark Pine Rd) is less shaded and took us about an hour to complete. It runs alongside an orange grove, which made for a yummy mid-hike treat. The second spot (where Lake Mary Jane Rd. dead ends into Fresno Dr.) is more shaded with views of the lake. We did both and were gone by 3:30. For any Orlando hike lovers looking for a good, quick afternoon hike adventure, Isle of Pine is a great spot to check out! ~Flo's First Bath~ Flo got her first bath this past weekend and it was pretty exciting! Her adventures make her pretty dirty, as they should, and we had yet to have time to give her a good scrub. So with beautiful, sunny weather and a bucket of suds, we set to work! With Babe's no-nonsense cleaning instructions, she was shining like new in no time!! She is so excited to be all pretty and sparkly for her next big adventure!! Where should we go next?! I am hoping to check Myakka River State Park or Devil's Den off my Florida bucket list really soon!! What happiness went on in your world this month? Linkup and let's spread some cheer! So glad you found it too and yes, it's the last Monday of every month! Can't wait to read your January moment :) Thanks for linking up and have a beautiful day! That looks like a great place for a walk. I love walking on trails in parks. Thanks for the linkup. 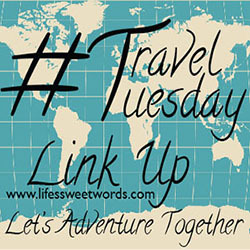 Feel free to stop by tomorrow on my linkup - Tuesday Talk beginning at 8:00 a.m. Anything goes for linking. Old and new posts. Thank you! And thanks for stopping by :) Have a beautiful day! I love your illustrated version of Harry Potter. I'm a big fan! :) Looks like you had a great month! There's no much to be thankful for! I discovered your blog through the link up on Stay Gold Autumn, and I'm also a member of the Peony Project! I'm excited to keep reading more of your blog! Aghhh! I love that shirt and saying!!! !